The two then called the police who responded with technical support provided by a Army EOD team. 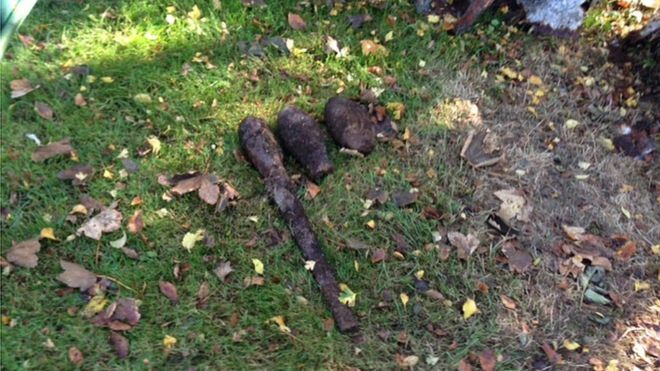 EOD identified the items as WWII era practice spigot mortar rounds. EOD determined that the items were inert but transported the items off-site for proper disposal.